One of the most common symptoms of migraines is photophobia, or hypersensitivity to light. Bright lights, changes in light levels, and sunlight can trigger an attack in some people and exacerbate the discomfort of a migraine once it takes hold. One strategy for managing photophobia is to wear glasses or sunglasses, particularly those with a specific tint to the lenses. About 80 percent of people with migraines have photophobia, according to the American Academy of Opthalmology. While light sensitivity is at its worst before and during a migraine, many migraine patients are more sensitive to light between migraine episodes than are other people—and those who have chronic migraines are more light-sensitive than those with episodic migraines. Photophobia is a neurological issue that involves communication between receptors in the eye and the brain. Migraine patients appear to have a hyperexcitable occipital lobe—the visual processing center in the brain that increases sensitivity to light. The brighter the light, the more discomfort or pain you probably feel. The wavelength or color of the light also plays a role. Blue-green light—the type found in digital screens, fluorescent lights, and in the UV rays in sunlight—tends to trigger photophobia more than other colors. There are no definitively "right" or "wrong" types of eyeglasses or sunglasses to prevent or ease photophobia; different people may swear by different tints, degrees of darkness, or frame shapes. There is research, however that a purplish-pink shade known as FL-41 is very effective for relief from the light sensitivity associated with migraines. One study looked at a group of children who wore either FL-41 or generic blue-tinted eyewear for four months. Those who wore FL-41 experienced sustained relief in the overall frequency, duration, and intensity of their migraine attacks and had 74 percent fewer attacks overall. Another study compared the tint with gray-colored lenses and found light-sensitive participants to have less sensitivity to overall light as well as fluorescent lighting while wearing FL-41 lenses. FL-41 tinted lenses can be used for indoor glasses, sunglasses, and prescription lenses. Sunglasses with dark, polarized lenses (with or without FL-41) are another good option for bright sunlight, as they reduce scattered light, which causes glare. 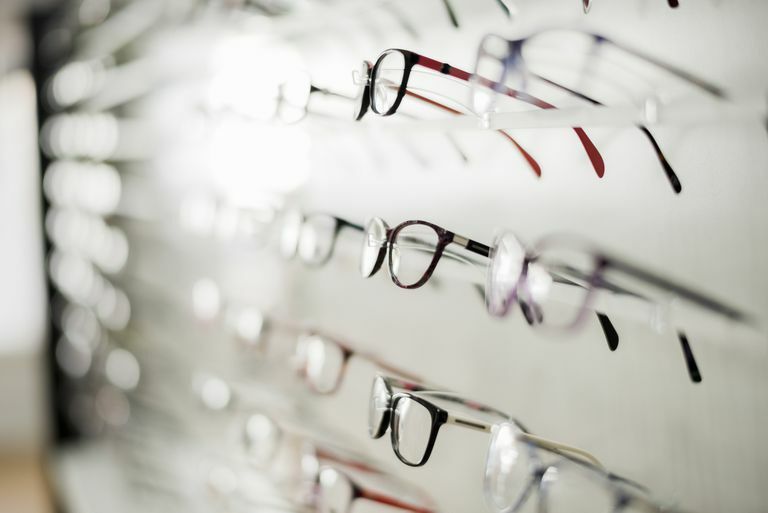 The migraine-averting benefits of the right glasses will likely provide you with enough of a reason to purchase a decent pair and wear them. Keep in mind that it's important to wear sunglasses regularly to protect your eyes from other problems as well. Ultraviolet rays (both UVA and UVB) are a known cause of cataracts, macular degeneration, and other forms of eye damage. Should You Get the Flu Shot if You Have MS? Could Light Therapy Ease Your Migraines? Is There a Special Diet for Parkinson's Disease? What Are the 3 Most Common Symptoms of a Migraine Aura?